As always, here we’ll concentrate on the latter. In case you don’t know, a website’s conversion rate is the percentage of the site’s visitors that perform a desirable action: making a purchase, reading an article, submitting a form, calling a telephone number or engaging with a live chat function. Conversion Rate Optimization, CRO for short, has been understood as the process and techniques of continuously increasing the conversion rate or, more popularly, improving website’s effectiveness in turning visitors into customers. Going back to the beginning, is it better to invest in increasing your traffic or your conversion rate? Both options can have a major impact in your bottom line. However, we love to start increasing conversion rates. Why? Because it’s easier and cheaper. 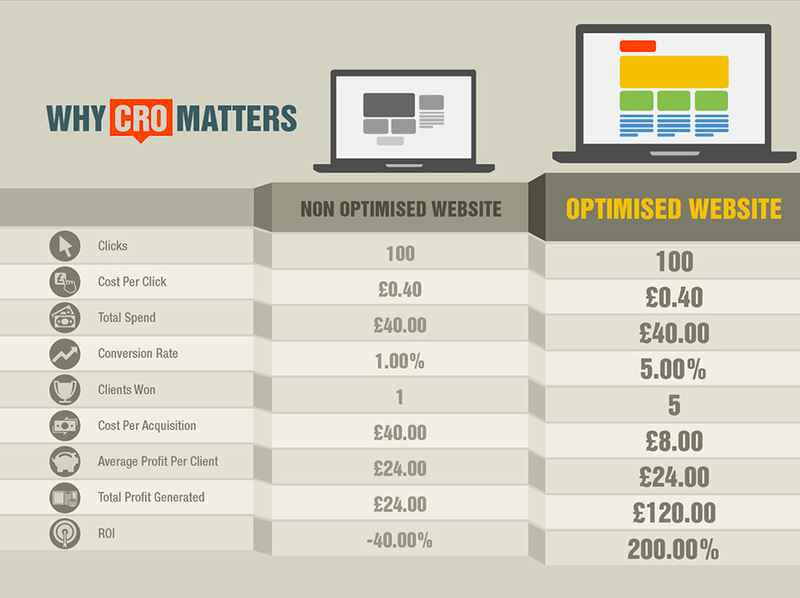 Take a look at this fragment of the Conversion Rate Optimization Infographic by DPFCOC and you’ll clearly see why CRO matters. How to improve the Conversion Rate? Conversion Rate Optimization means to analyze qualitative and quantitative data from your website and your competition, to drive a continual improvement in the online experience that your customers and potential customers have. In this post, I’d like to list the most common tips about CRO according to experts in this area. 5 Tips For A Successful Conversion Rate Optimization Program by @tim ash. Tim is the author of the bestselling book “Landing Page Optimization”, CEO of SiteTurners.com and chairperson of the international Conversion Conference event series. 5 Conversion Rate Optimization Tips From 5 Revealing Studies and 7 Actionable Conversion Rate Optimization Tips You Need to Try by @CarlyStec. Carly was the content marketing manager at Impact until January 2015 before joining the HubSpot team as Staff Writer for the Marketing and Agency Blog. 9 Uncommon Conversion Rate Optimization Tips You Can Use Today by Rob Carpenter. 101 Conversion Optimization Tips, Tactics, and Techniques by @JRJohnWrites. Jonathan is a freelance blogger specialized in blogging about digital marketing and WordPress. The Top 10 Conversion Rate Optimization Tips We Learned from Interviewing 60+ Experts in 2014 by @WillHoekenga. Will started Copygrad in 2014 to help startups and entrepreneurs improve their copy and conversion rates…without having to become copywriting experts. Formerly at LeadPages. 10 Brilliant Tips From Conversion Rate Optimization Experts by Brian Lenney (@WinsomeWriting). Brian is a writer specialised in content marketing. His copy is written to drive results, ROI, brand awaraness, etc. Blog Optimization: 6 Proven Tactics for Writing Blog Posts that Convert Traffic to Leads by Dan Sherman (@Outbrain). Dan is head of Conversion Optimization at Outbrain. He brings over 14 years of experience in online performance marketing and conversion optimization. 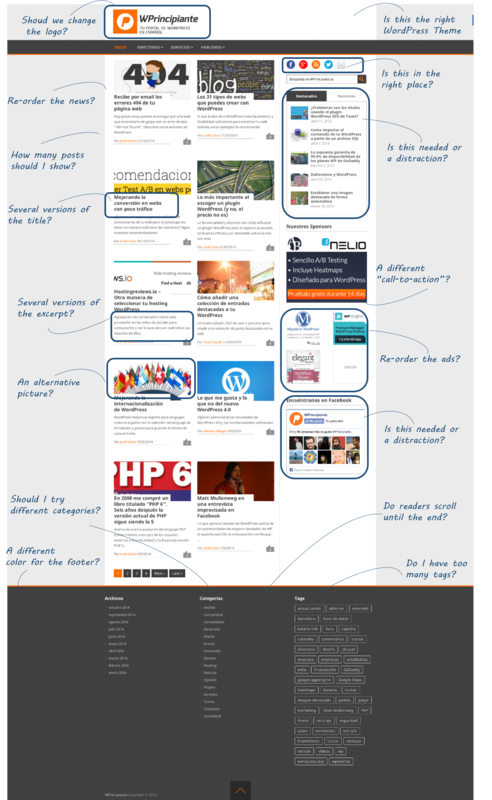 76 of the Best Conversion Rate Optimization Articles by @VladRascau. Vlad is the founder and SEO nerd of 80 Proof Digital, a leading digital marketing agency specializing in Search Engine Optimization. 9 Common Landing Page Screw-Ups that Poison Your Conversions by @JacekBlaut. Jacek is the marketing manager at @Delante and writes and tweet about online marketing, user acquisition, conversion rate optimization and startups. 16 Web Conversion Rate Optimization Tips from the Experts by @RobMCarpenter. Rob is the founder and growth marketing team lead of Hitshop and interim CMO at Publicate. I am sure you’ve already heard: “Start Small, Dream Big, Act Now!”. So, if you’re just starting out, it’s often better to keep your CRO initiatives small in your Top Entry Pages, the ones with high Bounce Rates. Why? Because usually you’re spending money acquiring traffic to your campaign landing pages and your search, email, and affiliate pages. Therefore, if you fix these pages you’ll increase revenues through higher conversions. Use Power Words. Smart speechwriters, sprinkle their speeches with carefully-chosen power words, drawing the audience from one emotion to another as skillfully as any novelist or screenwriter. The most persuasive words: You, Free, Instantly, Because and New. Focus on your benefits, instead of features. Don’t talk about what you do. Talk about why the customer needs you. Write for scanners, not for readers. People skim. Bullet points, ordered lists, and highlighting text help a viewer to recognize important points and skim better. Built trust and credibility. Add your client’s testimonials. Use a call to action. Encourage users to finalize the sign-up process. Different colors mean different things and convey different emotions. I recommend the reading of Which Color Converts the Best by Antonio Villegas for more details about this topic. 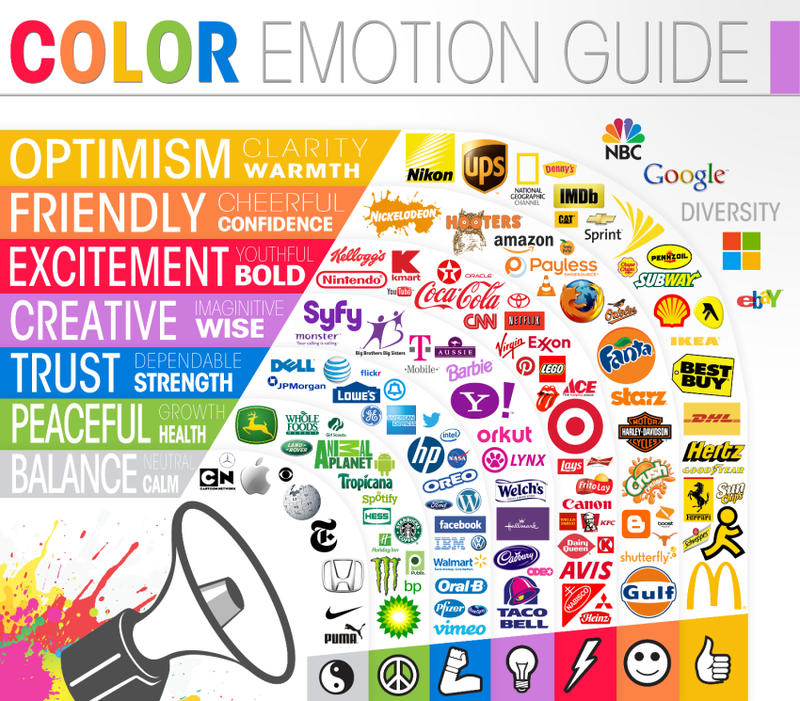 Also, take a look at this amazing graphic on the color emotion guide that put together the Logo Company. It’s fantastic! Use easy navigation and don’t overdo your design. Be sure to provide clear navigation and fast loading times to support natural and intuitive flow on your website to improve overall on-page experience. Use heat-maps to see valuable information about the areas in which your user pay more attention. 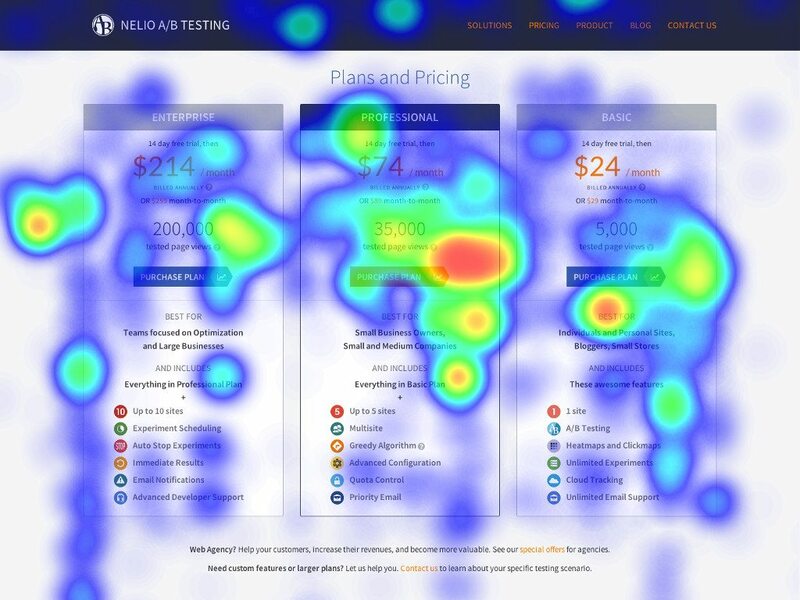 Heatmaps show valuable information about the areas in which your users pay more attention. As I’ve already described in Optimizing Your Visitor’s Journey, conversions not only happen at the top of the funnel but through the customer’s lifecycle: Acquisition, Activation, Retention, Revenue and Referral. According to Bryan Eisenberg, every website in the world has a problem with conversions, and he’s right. The job of split-testing and constantly improving your conversion rate will never end. Finally, start creating tests with Nelio A/B Testing. Testing shouldn’t stop with your site. You should use A/B Testing principles with everything you do on the web. 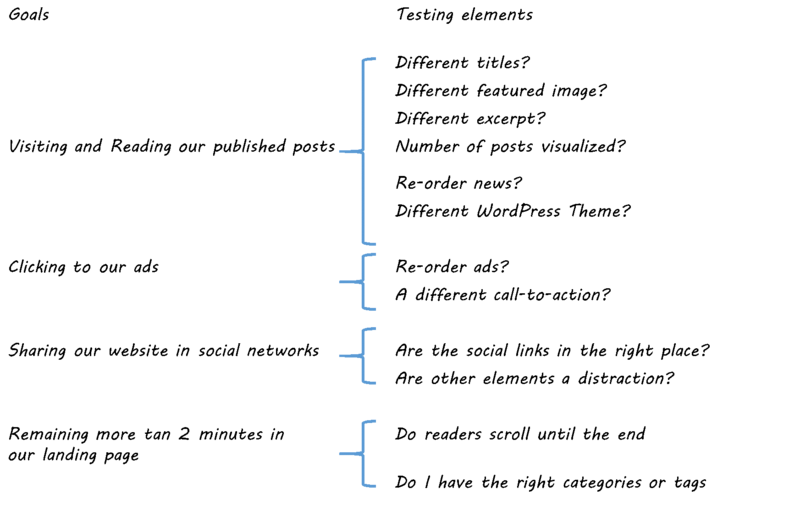 From testing your copy and design to testing which profile image on Twitter gets you more followers. Everything can be tested. Note also that A/B testing doesn’t hurt SEO; don’t be afraid of running A/B tests because you’re worried about what it will do to your rankings. Website monitoring is the process of testing and verifying that users can interact with your website as expected. You should ensure that your website is uptime, and its performance and functionality are as expected. On the other hand, evaluations are valuable sources of information on the short and long term for your CRO program. Evaluation activities are done not only to gauge how successful your program was in achieving the desired outcomes or goals, but also to identify unintended effects. You should analyze the authority and accuracy of the content of your website, understand if the regularity of updating information is well performed, and verify that the design follows the best practices and eases the use of the website. Finally, remember: no matter where your traffic is coming from, there is a way to make it convert. Instead of just focusing on building traffic, spend a portion of your time on converting it. And the best way to maximize how many window shoppers you convert into customers is by following the previous tips over and over.